Sitting by the fire in my rented mountain cottage, I am preparing for a few days of solo bush walks in the chilly winter air. 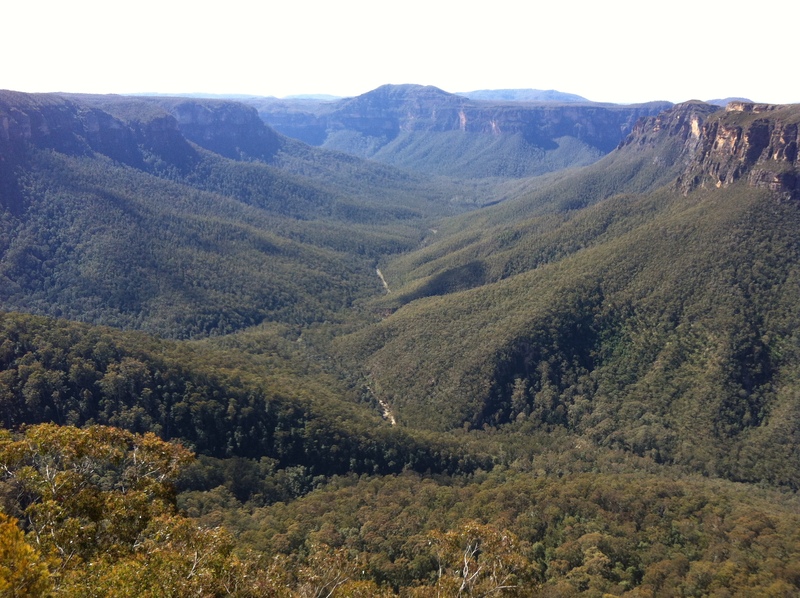 I am in the Blue Mountains, west of Sydney, and the sweeping views across the deep river valleys and tall blue gum forests are spectacular. The wide mountain vistas are bringing an opportunity to reflect on the bigger picture of my own life and the recent developments that have come through in this past month from the first Aquarian full moon in late July and the energy of the Lion’s Gate in early August. Immense change is on the horizon and it’s filtering through in different ways for different people. It could be a complete change of life, a change of job, change in relationship dynamics or even a geographical change resulting in a new place to live. It could even be that old interests are simply falling away, or even old friends, to make room for new activities that better suit where we have energetically moved to in this journey towards our true authentic selves. Although these changes can sometimes be dramatic and unsettling, there is comfort in remembering that everything is connected to the bigger story of our planet being ushered into the higher dimensions and that each of us is being guided by our own Soul to do whatever is necessary to move away from what isn’t working in order to free ourselves from the lower energy of duality and prepare for the higher energies of our Soul purpose. New Light codes are now entering our sphere and being anchored into the Earth through the various portals currently being activated across the planet. As these waves of Light move through humanity, we each feel them differently according to the quota of Light we are already holding. Those of us still awakening will move through the sometimes uncomfortable process of learning to acknowledge the shadow side of our duality while those moving towards wholeness will increase their capacity to hold greater levels of Light and experience the ecstasy of reconnecting to our Soul essence. All of humanity is on the same journey. We are all awakening to our true origins as energy of the stars and we are all here in our 3D human bodies at this point in time to create galactic change within our earthly existence so that everyone can move beyond the net that has keep us captive in 3D for the past several thousand years and return to our true multi-dimensional forms. We are all connected through the energetic grids that surround the planet so those of us still caught in the negative human cycles of war, violence, oppression, control and greed make the journey longer and harder for everyone but slowly and surely, as we each awaken to the barbaric actions of the past, one by one we will see that we can make a difference by not accepting what has always been. There is a new world emerging and it exists on the principles of Oneness, of kindness, respect, peace, freedom and unity. The 5D world is one of the Heart and as we begin to feel the gifts of this new energy it won’t be long before we begin to wonder how we could have been duped for so long. The moon is again growing full in Aquarius and it’s bringing the message of remembering the broader picture. With it comes a sense of clarity and perspective to all that has passed. We are at the edge of our own evolution, we just need to step back from the action to actually see the blessings it is bringing.